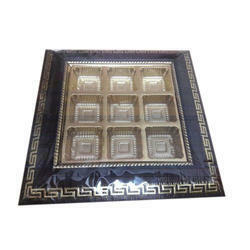 Manufacturer of metalized chocolate packaging tray of different sizes. Chocolate Tray : It can be used to place chocolate and sweets.It comes with a beautiful gold colour in the inner and red/ brown on the outer. 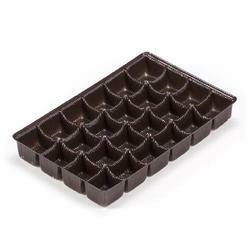 We are offering an extensive range of Chocolate Blister Trays that is designed innovatively. Our commitment towards the quality of these trays facilitates us to use only high-grade food material for the manufacturing of our range. - These Trays are made of Food Grade Plastic Material.